Frankfort Window Tinting offers high-quality window film at bargain prices! 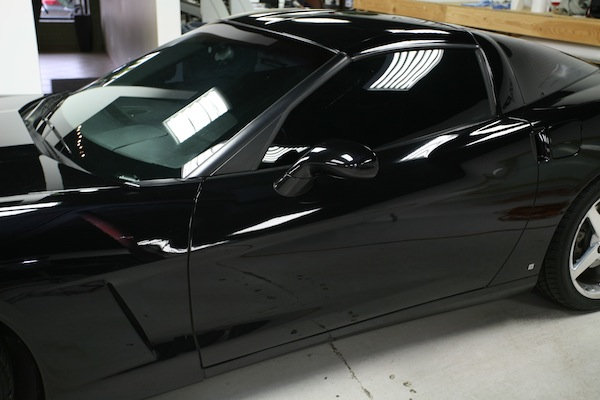 There is a reason why we are considered the best custom car shop at tinting windows. There is no other car customization shop in Frankfort that is able to provide its customers with top of the line window tint, car alarm, or remote start installation, at the most affordable prices, combined with professional and efficient service. Not only does Frankfort Window Tinting provide the best prices and highly skilled window tinting experts, but we provide a variety of tinting services for you to choose from. Our window tinting specialists aren’t only experienced at auto window tinting. We have been providing quality residential window tinting, for your home or apartment. We also provide Frankfort’s leading commercial window tinting services for our local businesses and our beautiful buildings. Applying the window stain isn’t our only specialty. We totally understand, that over time, depending on what type of window tinting film has been applied to your automobile, residence, or commercial property will fade, crack, or get damaged in any other way. That is why all of our employees are highly trained and skilled at window tint removal. Enter your info below to see our PRICES & get our Coupon Code. Coupon Code changes daily. There is a little more than just picking out the shade of film when purchasing window tinting for your car. Tinting film comes in many different varieties: the intensity of the clarity of the film or otherwise referred to the amount of sunlight it lets into your vehicle, the durability of the film itself, and the strength of the window tinting film. You essentially would want a window tinting film that has the ability to fit any type of window and that is able to withstand years of wear and tear. Here are some things you might want to consider when tinting your car, pickup truck, recreational vehicle (RV), or travel trailer. ​People have their vehicles tinted for a number of different reasons. ​It is very important to also consider which film is the best window tinting film for your vehicle. Give us a call and we'll make sure you get the tinting film that works best for your vehicle and the best window tinting application process that it needs. 1: A meeting, walk through and detailed estimate on what you want exactly for your car. 2: $100 off you window tint purchase (please note we are only allowing the 1st 10 people who call us and mention this site with the savings) Once we hit 10 we will not offer it again. Again just call us at 815-900-5041 to receive all the above, on us as long as you mention Frankfort Window Tinting. We do a lot of marketing both online and offline and like to see whats working best, Hence the hookup but only if you mention this website! Oh, and if its after hours or you're more comfortable emailing, drop us a line and we'll contact you asap! When it comes to any car customization we pretty much do it all but of course we're beast at Window Tinting! I guess the real question is what don't we do? But here's why most people call us. Auto Glass Replacement, Window Tinting, Tint Removal, Performance Lighting, Vehicle Security, Speakers, Sounds Systems, Car Alarm, Rims, Install TV'S. and to get quotes or to repair any of the above mentioned. We'll consider anything in Will County, Cook County especially in or around Frankfort, IL. Including New Lenox, Frankfort Square, Mokena, Manhattan, Joliet, Tinley Park, Orland park, Orland Hills, Matteson, Richton Park, Park Forest, Peotone, Monee, Flossmoor, Steger, Chicago Heights, Homer Glen, Lemont, Country Club, Homewood, Flossmoor, Glenwood and Olympia Fields. It depends on if it's a 2 door or 4 door car, or bigger. If you want to see our prices, enter your info above to see our price list. Or you can call us now at 815-900-5041 and mention Frankfort Window Tinting today to schedule a day and time that works best for you. Hell yeah we do! We're not just proud of the 1000's of window tinting jobs we've done but we're so confident our tint will withstand any hot or cold weather that we offer a lifetime warranty. How about them apples? So what are you waiting for? Call us now at 815-900-5041 and mention this site Frankfort Window Tinting for a FREE quote and $100 off your purchase. If email works better please use the form at the top of this page. Window tinting for your home has become increasingly popular over the years. Ultraviolet (UV) and solar radiation coming from sunlight can cause a lot of damage, not only to the interior of your home but to every person inside of the home. After continued exposure, harmful UV rays and solar radiation can develop cancer-causing cells and a number of other health related problems. Our residential window tinting film is specially designed to block out the sun's’ harmful UV rays and reflect it back outside. With our residential window tinting application, our film can also significantly reduce the transfer of energy or heat from the home or into the home. What that means is, during the summer months, with our residential window tinting, our film reflects the heat from outside and prevents it from entering your home. Therefore, you will be saving money and at the same time keeping you and your family safe. During the winter months, if your windows are designed to keep the heat inside of your house, Frankfort Window Tinting applies our specially designed window film on the interior of the window to allow your glass to do the job it was meant to do. Our window tinting film also reduces fading of the furniture inside of the home and other contents of the home. Window tinting for your shopfront, office space or commercial building is as essential for the interior as it is for the exterior. When Frankfort Window Tinting applies window tinting to commercial properties it is often done to increase the privacy of those on the inside of the building. We have different types of shades as well as reflective window tint, that resembles the way your image is reflected when you are in front of a mirror. Our commercial tinting film will also significantly reduce your heating and air-conditioning costs. Our commercial film also adds security benefits in case of an accident by protected your building residents and guests from broken pieces of glass. The film holds together the broken pieces, preventing them from accidentally causing injury or harm. ​As mentioned before there are many added benefits to completely securing your building, using our commercial window tinting services should be at the top of that list. If you would like a quote on our tinting services, please give us a call 815-900-5041 or feel free to fill out our instant quote form. When providing 5-star window tinting services in Frankfort, we strive for excellence when performing all of our window tinting jobs. But unfortunately, we have not had the pleasure to provide our tinting services to everyone in Illinois but we do help remove tinting film that has been poorly applied, that has cracked or faded over the years, tint that has formed air bubbles in between the film and your window. At Frankfort Window Tinting we use the best film to tint your automobile, residence, or commercial property. The higher quality material of film that we apply during every process is guaranteed to outlast generic brands. The shade of the film that we apply does not lose its color over time, remains resistant and durable during any weather conditions, and has been rated the best tinting film overall. So if you need any window tint removal services in Frankfort, IL or any of the tinting services mentioned above, don’t hesitate any longer and contact the best around! Contact us today at 815-900-5041 and we can provide you with a quote.